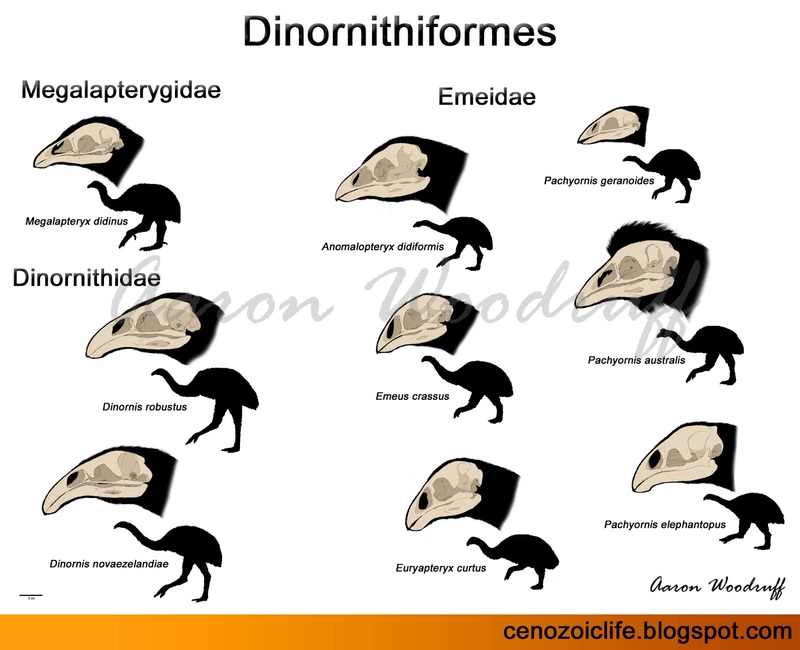 The moa (Dinornithiformes) are a group of flightless birds which lived on New Zealand from the middle Miocene and survived until the late 14th to early 15th century: around the time Europe was transitioning out of the Middle Ages and into the Renaissance period. They were the largest and most influential vertebrates within New Zealand’s terrestrial ecosystems and there were 9 species within 6 genera and 3 families by the arrival of the first human settlers 700 years ago. More information is known about moa than arguably any other completely extinct animal group with everything from complete skeletons and eggshells to preserved soft tissues containing ancient DNA being collected. This post will, therefore, serve as the first entry in a 5-part series summarizing our current understanding of these great birds. on display at the Yorkshire Museum, England. Wiki. Prior to 2010, it was believed that moa were most closely related to Australian emus and cassowaries among modern birds. 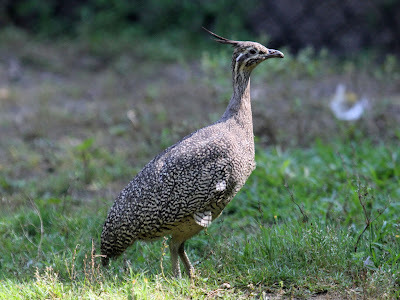 It has since been realized, however, that the closest living relatives to moa are the tinamous (Tinamidae): a family of small South American ground birds which resemble gamefowl. It is a mystery how these South American birds, which are relatively poor flyers, managed to cross the 12,304km (7,645.2 miles) of open ocean to reach the islands of New Zealand. Perhaps they arrived by island-hopping or by rafting over the course of millions of years. 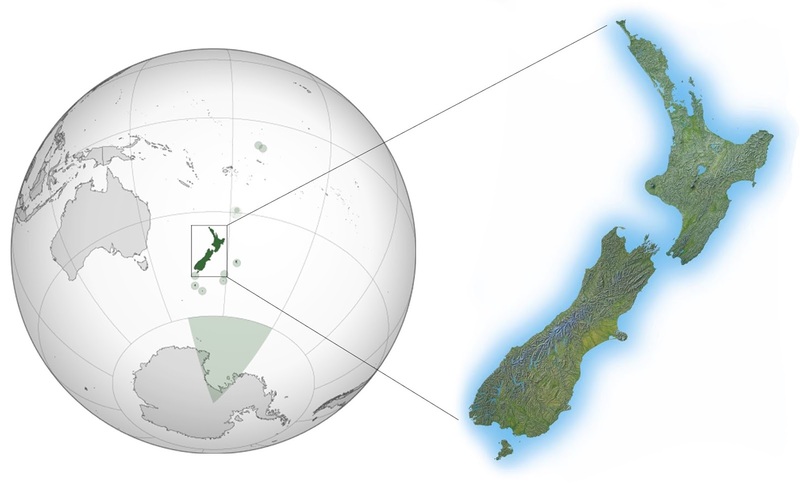 Another possibility is that tinamous, or a close relative, already existed on New Zealand by the early Oligocene when there was less distance between New Zealand and Antarctica with only a shallow sea separating them, while Antarctica itself was still connected to South America. This latter hypothesis is supported by the presence of meiolaniid and pleurodire turtles, mekosuchine crocodiles, and mystacinid bats living in New Zealand during the early Miocene, all of which share South American or Australian origins and are unlikely to have arrived by crossing deep ocean. Once established in New Zealand, however, ancestral moa underwent a remarkable adaptive radiation taking on the role of mid-sized to large terrestrial herbivores in the absence of mammalian competitors. are the closest living relatives of the moa. Wiki. The colder highlands of the Southern Alps run from the north to the south of the island, influencing the rainfall and vegetation on either side. To the east of the mountains lay drier woodlands, shrublands, and grasslands which comprise much of the lowland area. North Island experiences high rainfall and is dominated by deciduous forest habitat much like the western lowland area of South Island, while the land closer to the southern coast is drier and more open. The more diverse range of habitats of South Island combined with its larger land area (150,437km² to North Island's 113,729km²) explains why moa diversity is highest on South Island: 7 of the 9 species lived (5 of which being endemics) lived on South Island while just 4 species (with 2 endemics) inhabited North Island. and is currently situated about 1,500km east of Australia and 5,000km north of Antarctica. Because of its remoteness, it was the last habitable landmass to be colonized by humans. late Mesozoic or early Cenozoic when it was still relatively close to larger landmasses. Genetic evidence suggests that the 9 Holocene species of moa radiated from a common ancestor during the late Miocene with the Upland Moa (Megalapteryx didinus), the sole member of the family Megalapterygidae, being the most basal. 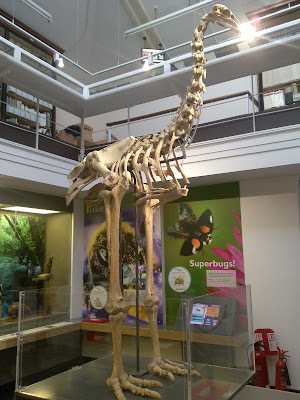 The two species of Dinornis within the family Dinornithidae were the largest and tallest of the moa very slender skeletons and elongated limbs adapted for mobility. The family Emeidae is the most diverse, containing the remaining 6 species within 4 genera: 3 species within Pachyornis and the genera Anomalopteryx, Euryapteryx, and Emeus containing a single species each. Contained within this family are the smallest, as well as some of the most heavily-built moa. the online collections of Museum of New Zealand Te Papa Tongarewa. Scale bar in lower left corner equals 3cm.